We are not mistaken if we say that Christmas have become one of the most festive seasons of the year, especially at Western cultures. Beyond its Catholic origins, there are many traditions associated to Christmas. Some of them stem from deep rooted cultural manifestations, while others arise from modern lifestyles. 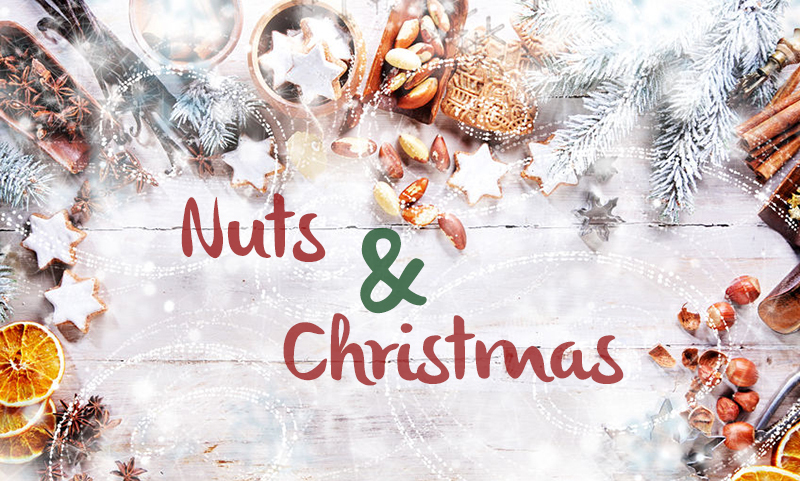 Irrespective of cultures, countries or languages, nuts and Christmas have been closely connected through history, resulting in a perfect marriage turning visible not only in meals or traditional recipes, but also highlighting the value of some habits. Indeed, who has not ever used a nutcracker as a Christmas decoration? Although there are plenty of reasons to include nuts within your Christmas choices, here you have 4 of the most healthy and festive points. 1- It goes without saying that the following weeks will be packed with well-dressed gastronomic meetings, either with friends, colleagues or family. Nuts are a healthy snack due to their unsaturated fats, antioxidant capacity and nutritional composition, for instance, fiber and magnesium, among others. A recent study published in the Journal BMC Medicine observed that compared to those that rarely consume nuts, people who eat at least 20 g of nuts per day may have a lower risk of cardiovascular disease, cancer and other diseases such as diabetes. 2- Inspiring flavors and adding layers of texture result in a pivotal goal pursued by each and every chef, either professional or amateur, willing to touch his/her dinner guest’s feelings. Paired with salmon or chicken, or even seasoning a salad, nuts and dried fruits are able to take our dishes to an upper level thanks to creativity and mixture of flavors. 3- When it comes to traditional cuisine, nuts and Christmas works wonder with desserts. The festive season about to start affords many moments to enjoy a long chat while having a cup of tea accompanied by a Christmas dessert in the form of sweet or candy. Mediterranean countries like Spain produce a traditional sweet called Turrón which, among other ingredients, may include almonds and hazelnuts. They are rich in protein, fiber, vitamin E and minerals. Pine nuts, considered a good source of fiber, potassium and riboflavin (vitamin B2), and raisins also get on well with Christmas desserts in many combinations. Raisins are low in sodium, high in potassium and a good source of fiber and minerals such as phosphorus, manganese and copper. 4- Last but not least, the festive spirit of Christmas is strongly supported by gifts. We are not referring to its monetary value but to its symbolism, the meaning enclosed by a present not only for the person who gives it, but also for the one who receives the gift. Have you ever filled your Christmas stockings with nuts waiting for Santa Claus’ arrival? Its commonplace in some cultures to offer some candies, nuts, fruits or small gifts to Santa Claus and Rudolph. Nuts and Christmas are everywhere at this time of the year. It reminds us that nuts and dried fruits may result in a perfect gift for a special or beloved person. Nuts are a gourmet product able to add both a distinctive and healthy touch to our Christmas gifts. Tell us about your experiences with nuts and Christmas. Are nuts and healthy eating habits within your New Year’s resolutions?